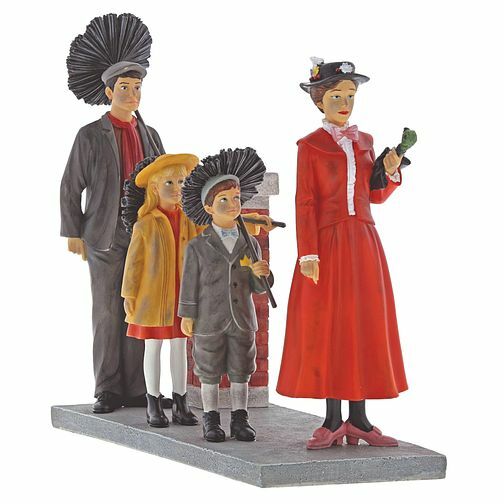 Step In Time is taken from the Disney 1964 film Mary Poppins and features the mischievous chimney sweep Bert dancing on the rooftops of the London skyline with the magical nanny, Mary Poppins, who is practically perfect in every away, along with the two children in her care - Michael and Jane. This figurine is made from resin and is packed in a branded gift box. Not a toy or children's product. Intended for adults only.